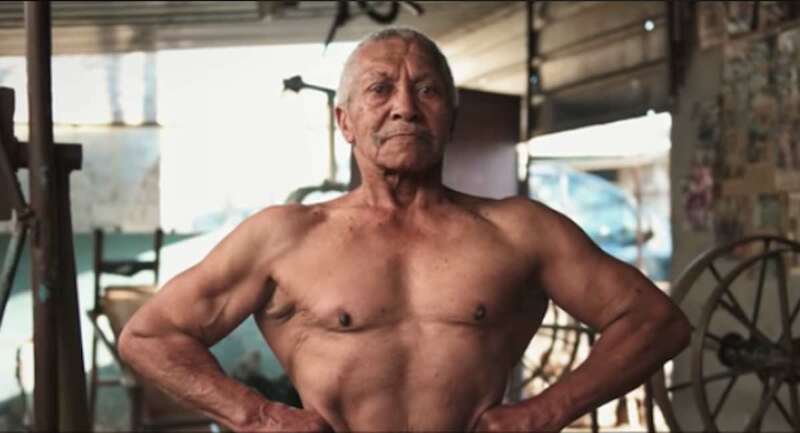 This incredible 78-year-old bodybuilder isn’t just a fitness hero for people on the internet – he is also a hero to young people in his city. Calvyn Fortuin has been lifting weights since he was 14 years old. 64 years later, he is the oldest bodybuilder who is still competing in South Africa. Though he originally used weights that his father had made for him out of concrete and cement, Fortuin now has an impressive home gym where he works out for three hours a day, five days a week. Not only that, he regularly invites youths from around his town of Heidedal to use his gym as an escape from the dangers of the streets. Currently, he is a mentor to 30 young men and women who are keen on staying out of trouble. “We have a responsibility to young people because young people are the future,” he adds. Even though people will sometimes tell him to hang up the towel on his passion, he simply insists that it’s his way of life. “When you must tell a bird not to fly, then I’ll stop training,” he says.